If you've been following on the blog or Instagram, you know that Hannah and I were traveling in the UK--but kind of don't bring it up or I'll cry all the tears of sadness that 1. I'm no longer with her 2. I'm not in the UK anymore and 3. I'm no longer with Hannah. I didn't think it was possible to love her more but it was! I am mourning the loss of this trip still today but I digress. 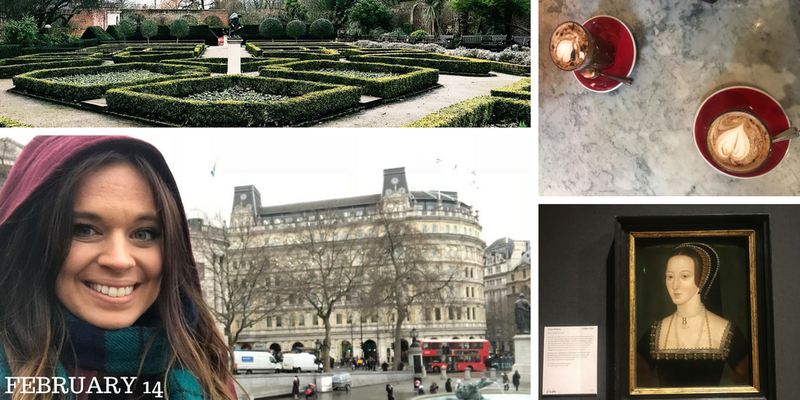 While we were there, we did a UK Recs series for books, TV/Movies, and places we love; we thought we would do a parallel 3 day recap talking about books, what we did, and a back home mug life! Yesterday we talked about the books we read while traveling, today is our real recap of what we did and 3 Good Things about each day. Hannah and I both keep a 3 Good Things planner/journal so this was the perfect format for us to reflect back on what we did AND what our favorite parts of each day were. 1. REUNITING WITH HANNAH • While I was so excited to be back in my favorite place in the whole world, I was most excited to see Hannah for a FULL ENTIRE WEEK! PLUS we were in our favorite city and it was just everything! I definitely did an embarrassing happy dance when I saw her at Cafe Nero. Best. Day. Ever. 2. 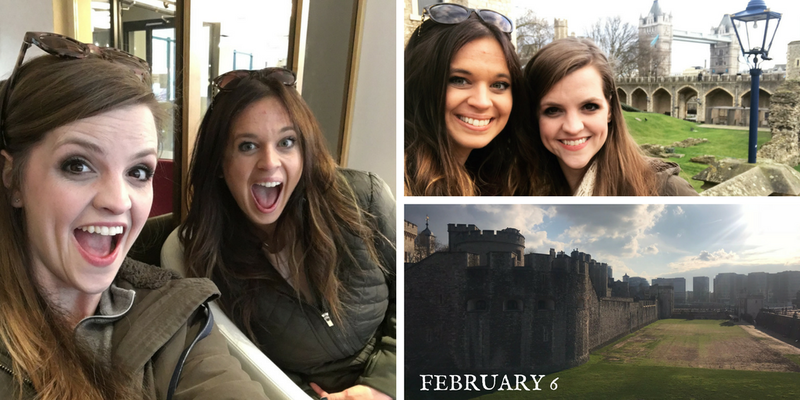 TROUBLE AT THE TOWER • I love The Tower of London and go every time I'm in London; finding out Hannah had never been was extra special! 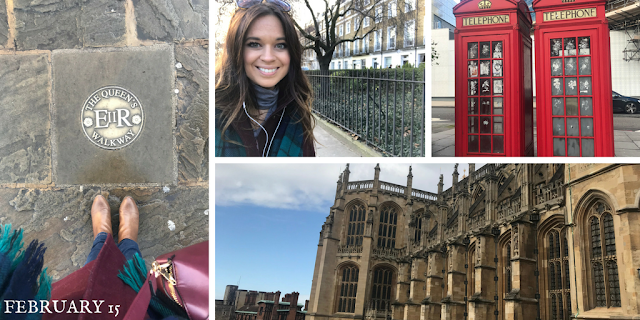 I got to play terrible tour guide and go around to point out my favorite historical haunts and we got to check up on our Crown Jewels that are on display. Spoiler alert: they're all still there. 3. ITS A BOOK THING • Book shopping for some coveted UK editions was a constant on our trip, our first night there I found some Mhairi editions and Jojo I've been wanting! Hannah was the worst influence on me this entire trip but I love my UK library so much! 1. BIRTHDAY • I never in a million years thought I would 1-ever spend my birthday with BFF who lives a billion miles away and 2-would spend my birthday in my favorite place in the world. I rang in 31--oof--doing both these things! 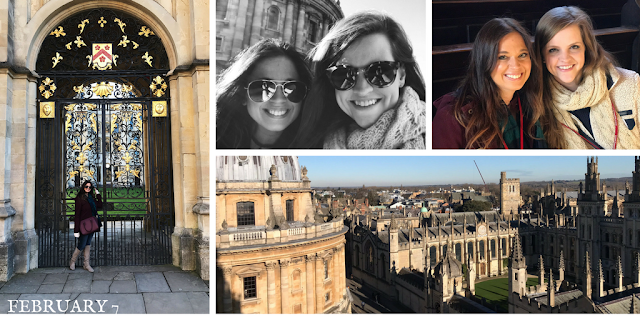 Hannah made my day so special and complete and indulged me in all book obsessions that take place in Oxford--see below! Words cannot describe how amazing of a day it was and I am still on cloud nine thinking about it now! 2. WITCHES AND WONDERLAND VIBES • One of my favorite books series ever is A Discovery of Witches by Deborah Harkness. If you've read the series, you know Oxford plays a huge part in that story. I got to visit Matthew deClairmont's college, see the rivers Diana rows in, and all around just feel like I was in the story. We also went to The Alice Shop because I LOVE Alice in Wonderland and the shop was so adorable and had so many cute knick knacks, she definitely indulged me in all my whimsical bookish fantasies. 3. ITS THE LITTLE THINGS • I really am a simple creature at heart and the day ended on a perfect note with takeaway pizza, cupcakes, pajamas, and a British home designs show. I'm actually getting emotional just thinking about how amazing the day was and how relaxing and perfect the end of my birthday was. Take me back!! 2. ARTHUR'S SEAT • It's no secret I love a physical challenge. 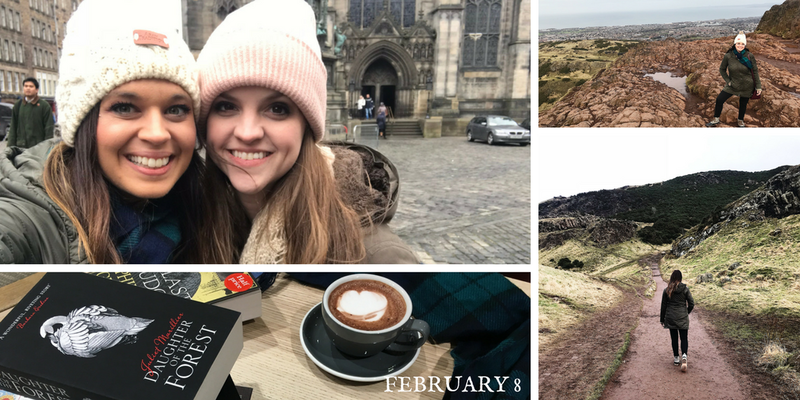 Hiking Arthur's Seat was my number one thing I hadn't done in Edinburgh and I had to schmooze Hannah just a bit to get her to agree to do this...it was way harder than I thought it would be and bless her she didn't complain for a second. I loved it but it was definitely hard! So worth it though and the reward Diet Coke--definitely my treat lol--was perfection. 3. BOOK SHOP TALK AND TAKEAWAY • Again, the little things. I knew of a fantastic Waterstones on Princes' Street that is like 3 levels! It's beautiful! We found some books to creep on and got a hot chocolate to wash away some of the rain earlier in the day. We also ended the night in our beautiful swanky--and cheap!--hotel that was just stunning...with some classy Five Guys takeaway. Shower plus food plus more British home shows equals unparalleled bliss. 1. BOSS MODE EDINBURGH EDITION • We did so much today! To add insult to injury we went beast mode as well as boss mode and climbed Scott's Monument, 283 odd steps that get more claustrophobic the higher you go but the view was on another level. The weather was amazing and nobody was there, hashtag pros of off season travel, holla! 2. 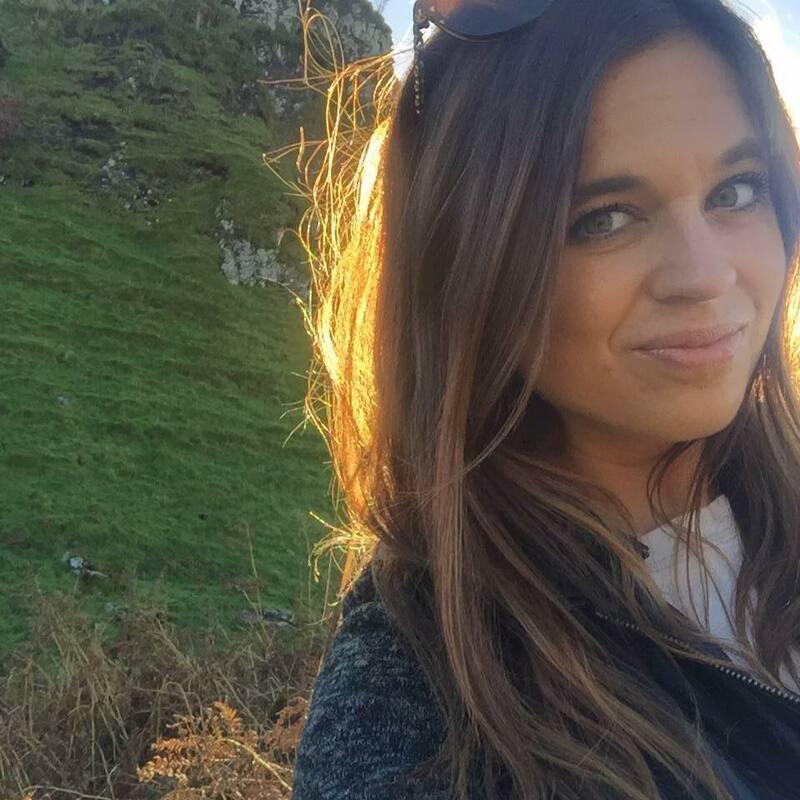 PALACE FIT FOR A QUEEN • Holyrood Palace is another place in Edinburgh I hadn't been before and it was my favorite thing we did! It's beautiful, the architecture is so cool, and it's filled with history. I loved learning about how it was built and who has stayed here in the past. Getting new Mary Queen of Scots info was just icing on top of the cake! 3. 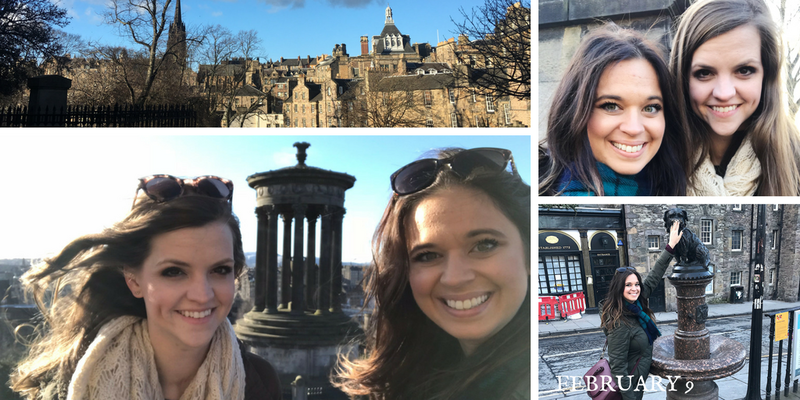 SCOTTISH STROLL • Because we did so many things we really got to explore a lot of Edinburgh by foot! I felt like we stumbled upon so many cute shops and streets and it just felt amazing to take our time in this incredible city I love so much. 2. FIRST CLASS TREATMENT • Because we still wanted to make the most of our day, we wanted to try and see if we could get back to London earlier. Thanks to Shashawn at Trainline, he graciously refunded our non-refundable tickets that left, you know, 12 hours from time of phone call and we were able to get into London about 5 hours earlier than scheduled. AND SURPRISE the ticket was First Class! Who lives this luxury life?! WE DO. Completely convinced that good karma and our great attitude was instantly rewarded. 3. ITS A BOOK THING...AGAIN • Because we got back to London so early, a stop to Picadilly Circus Waterstones was a must...it's 6 levels. AND HAD A COVETED AND HARD TO FIND ROMANCE SECTION OMG! I found so many of my favorite books there that I went a little nuts but it was so worth it! I also finished reading Still Me while relaxing there and openly yet silently cried in front of Hannah and about 4 strange men who were also sitting read. I am not ashamed. 1. ROYAL TREATMENT • Because I'm nuts, I yet again bought a Historic Royal Palace membership, and made Hannah, too. It's so worth it because we went to Hampton Court Palace and Kensington Palace. It's so worth the money and you get into some great places. 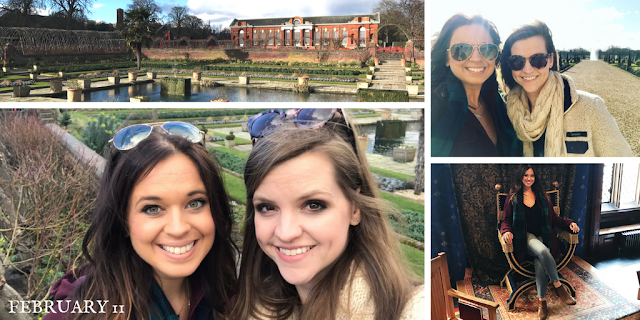 I loved exploring the gardens of HCP and seeing the sunken gardens of Kensington again. These places will never get old to me and I love revisiting. 2. FIT FOR A QUEEN • Not gonna lie, the throne-like chairs found at Hampton Court made my freaking life. Hashtag prof pic, haha. 3. ITS THE LITTLE THINGS • We had a busy, jam-packed week! 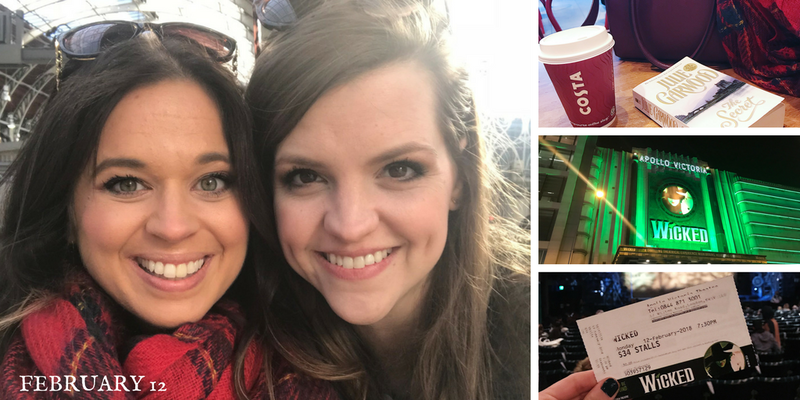 Being Hannah's last night in London--sniff--we decided to head back to the hotel early, relax, work on travel journals, and just enjoy our last night together! 1. BYE BYE BESTIE • This is not really a good thing but regardless, I couldn't chain Hannah to me forever and she had to go home eventually. Sigh. 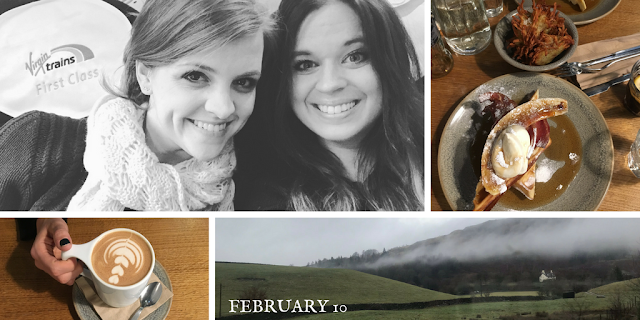 I had the absolute best week exploring the UK with her and I can't talk more about how much I love her and appreciate her as a friend or I'll start crying. NO, YOU'RE CRYING! 2. COFFEE AND TEARS • To console myself, I went to Costa to get coffee and just relax and read. The Secret has one of the best friendships ever so it was the perfect balm to my wounded soul. 3. WICKED COOL • To console myself some more, I bought tickets to see Wicked that night. The show was amazing the both Elphaba and Glinda were two of the best I've ever seen. I'm not sure anyone will beat Rachel Tucker for Elphaba but Alice Fearn was a close second for sure! 1. HISTORY COMING ALIVE • With my obsession with UK history being on the obsessive level, the city of York is a huge part of that history and it's a place I have read about for years! I was so excited to finally be in this iconic city and it did not disappoint! The walled city is steeped in history and you can see it. Everything looks so old and the city walls are epic, they're just so cool! I loved walking around this city, the only thing I'd change is the weather could have been better. Win some, lose some. 2. PLANTAGENET LOVE • I really enjoyed visiting the Bars at the corners of the city. They had a Richard III and Henry VII exhibits. I LOVED going to these and reading their sides of the story. They themselves have a lot of history between them so it was extra cool to see their respective exhibits. 3. 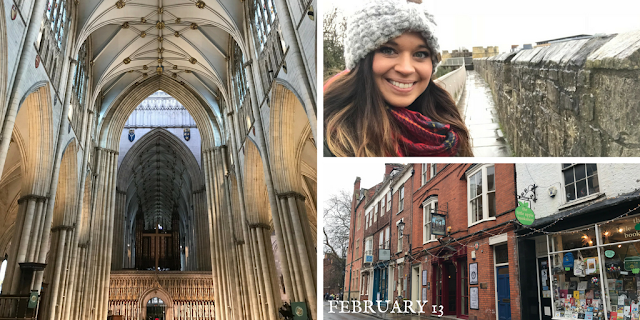 PILLARS FEELS • York Minster was at the top of my York to-do list and oh, my goodness it was spectacular! I recently read Pillars of the Earth and it was so similar to what I pictured in my head that I was getting major vibes of that book and I loved every second of it. 1. JUST A CASUAL STROLL • Holland Park was on my short list of things I haven't done in London, it was beautiful. Their various gardens are fantastic. The pigeons are assholes. Don't ask. 2. COFFEE CATCHUP • One of my friends I met while traveling in South America lives in London and I adore her! I try to see her when I'm here and we met up for coffee and it was so great to see her and catch up with her! 3. ANNE BOLEYN IS MY HOMEGIRL • I have never been to the National Portrait Gallery but on a rainy London afternoon it was a priority. I had to see the infamous Anne Boleyn painting in person and it was amazing. The entire Tudor exhibit is really impressive and it felt great to spend time with old friends, hehe. 1. IMPROMPTU DAY TRIP • Because Hannah had recommended it, I booked a last minute train to Windsor to see the castle there. Wow. Beautiful!! I did not expect it to be so vast. I also didn't know St George's Chapel is the resting place of Elizabeth Woodville, one of my favorite historical heroines. WIN! 2. QUALITY TIME WITH MY CITY • I didn't really have a plan for after Windsor so when I got off the train at Paddington, I just picked a direction and wandered. I found some random beautiful streets that were so pretty and quiet amidst the chaos of London. 3. BEING PRESENT • Wandering around and just enjoying the quiet moments in my city was the perfect end to my last day. I just slowly walked around with zero aim or direction and, as always when I'm there, it just worked out that I walked through some really great neighborhoods as I took the LONG way back to my hotel. 1. FLYING SOLO • I really don't have three good things for this day. I mean I was excited to see my family and sleep in my own bed but overall, I was sad to leave. I love this place so much and I never know when I'll be coming so each day is so precious to me. I did get 3 seats to myself on the flight home so that was definitely a nice surprise! 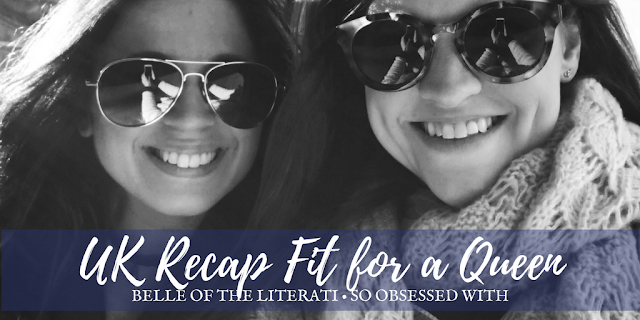 I hope you enjoyed my UK Recap Fit for a Queen! 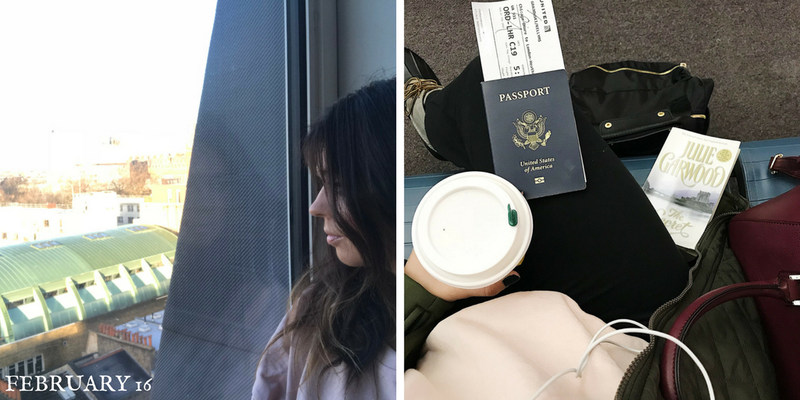 Don't forget to check out Hannah's post and pics! !